While other top-ten college programs are facing high turnover this season, SHSU will retain much of their 2017-18 roster. This advantage of consistency will make them a shoe-in to, at minimum, meet expectations. Having a number of experienced veterans—including keeper Sam Reagan, beater Baldemar “Baldy” Nunez and chasers Red Rutledge and Travis Ward—gives SHSU an edge this season as they look to make the deepest run in program history. Finishing in the top 16 of the collegiate division at USQ Cup 11, SHSU needs only to make it to the Elite Eight to meet The Eighth Man’s expectations in the preseason rankings, a task which should not be difficult for this veteran-packed squad. Even if the road gets bumpy, SHSU is no stranger to a challenge. This is a team that brought only 18 players to nationals last season, and lost three of them by day two. With such a depleted roster they managed to slip under the radar and give lower-string players more minutes. With increased depth and the retention of their go-to players, SHSU is now looking to compete at full strength with the other powerhouse teams in the Southwest. When it comes to the quaffle game, the Bearkats will rely on the experienced trio of Reagan, Rutledge and Ward to produce points. Fresh off yet another season with the Legends, these three will not only bring with them the physicality the League City MLQ team is known for, but also a capability to take over games against even the most experienced college opponents. 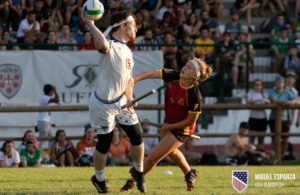 Complimenting the aforementioned quaffle lineup are returning beaters and Legends teammates Baldemar “Baldy” Nunez and Katherine Hayworth. The pair will give the Bearkats a mixed-gender set that should be able to compete with any college beating line around the country. Look to Hayworth to be a defensive stalwart while Nunez causes chaos on both ends of the pitch. If the latter manages to come out hot at nationals and the Bearkats get a favourable draw, SHSU will see that Elite Eight berth. SHSU may not be the most noteworthy squad in the top-ten, but it may have the most potential to exceed expectations. Keep an eye on SHSU come April. If they can stay healthy and eager, an Elite Eighth finish or better at USQ Cup 12 is in their future. Over the past two seasons, SHSU has been a chaotic team to place. They’ve shown up to some tournaments playing at the talent level of a low-tier B-team and shown up to others playing like a collegiate A-team. After SHSU beat Texas State University 110*-90 in pool play at this year’s unofficial Breakfast Taco, it’s fair to wonder whether this SHSU team will live up to their No. 9 pre-season ranking. Though the question is fair, the answer is simple. They will not. Entering the 2018-19 season, it seems SHSU will remain, once again, in purgatory. Texas State and SHSU’s methods of mixing players from their A- and B-teams obfuscates what little information we can glean from a score in an unofficial tournament. Moreover, with SHSU returning a majority of their roster, and Texas State’s quaffle line filled with rookies, it is hard to guarantee that the former’s early success will continue. All that being said, teams are not given a top-10 rank based on how well they lose. Certainly, SHSU has been a capable team for many years. One of the biggest reasons for SHSU’s stalwart presence in the Southwest is due to the experience that many Bearkats get every summer on the League City Legends. 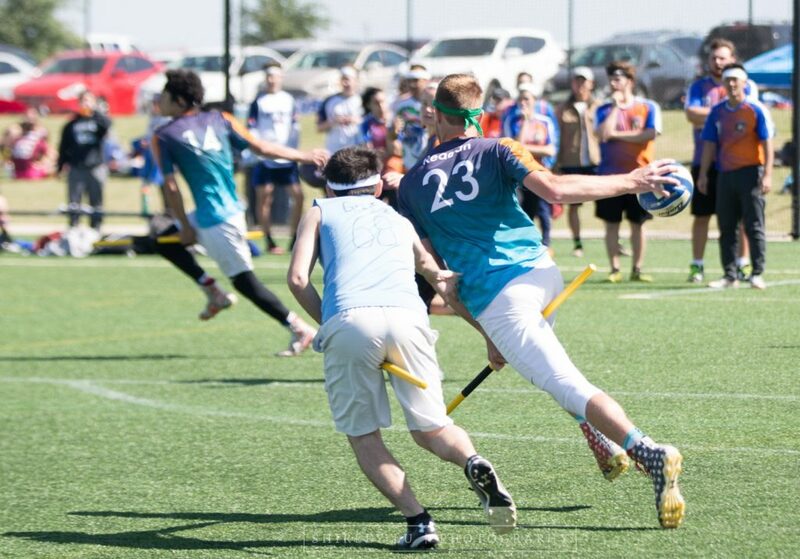 The rhythm and chemistry of beater Baldemar Nunez with SHSU quaffle players like Travis Ward and Sam Reagan gave each of League City’s opponents a tough game—even top teams like the Rochester Whiteout and Austin Outlaws. But that’s just the point. 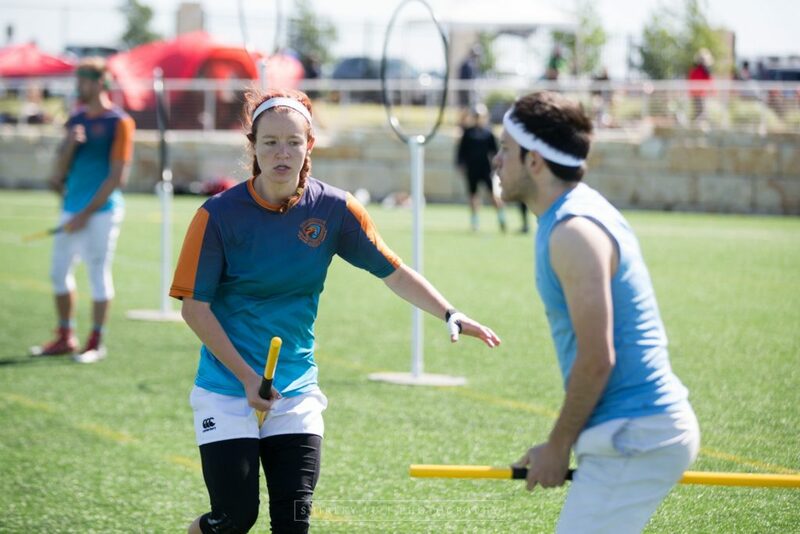 Much like SHSU, the Legends managed to put forward all their effort in tight snitch-range games against top competition, only to not convert any of that effort into actual wins. 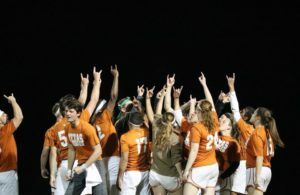 Besides that, more than five SHSU players have played MLQ for three seasons running, casting doubt over how beneficial that extra time has been for SHSU’s program at large. SHSU’s problem, unexpectedly, is not the lack of a seeker. The Bearkats have played a total of six in-range games against ranked competition in just as many seasons. No, the Bearkats’s true problem is that the effort the expend playing top teams is too taxing for their key players, leaving nothing in the tank for snitch on pitch play. Film of SHSU’s regional games against Texas and Texas A&M corroborate this key insight. SHSU played admirably in both games for a good chunk of the seeker floor–staying comfortably in range against Texas and holding a commanding lead against Texas A&M. Around the fifteenth minute, though, things started to change. SHSU’s quaffle rotation, whether due to exhaustion or a breakdown in coordination with their beaters, began to commit turnover after turnover. Soon Texas had established a 50-point lead, and A&M was back on top. That has been the story of SHSU for the past two seasons. It is possible that a solid recruiting season, coupled with the right stars, will result in a strong showing for SHSU. 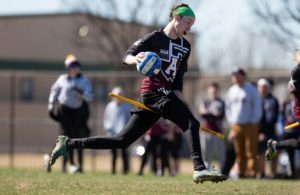 Maybe the chemistry built by their MLQ experience turns the chaser lines into one of the top chaser lines in college quidditch. Maybe the Bearkats even get their first win against a ranked opponent in two and a half years. But we’ve seen this story before, and we know how it ends–SHSU will finish this season without a signature win, and thus no wins worthy of a No. 9 ranking.